I'm shy. Just thinking about talking to someone I don't know very well makes me shaky.1 If you know what I'm talking about, you know such a weakness makes going to church difficult. Essentially, I have an appointment with social anxiety at least every Sunday. And my shyness makes me question my worth as an individual. Without getting too existential, I worry about weird things: I worry I'm not Mormon enough. We hear stories all the time about nonmembers calling members of the Church cheerful and always kind. Countless converts have joined because of the simple kindness and friendship of a member. Whenever someone mentions the Mormon reputation for friendliness, I can't help but cringe, because I'm not a cheerful or chatty person. Well, let me amend that slightly: I'm not a cheerful or chatty person in public. At home, I'm usually fine. But in any other situation, I'd rather not talk to anyone. Yet I know how cold and aloof this makes me appear. And it's not just socially that I feel unfit for the Church—I don't consider myself particularly knowledgeable when it comes to gospel topics, and I didn't serve a mission. Sometimes I feel like an outcast, not because of any way I've been treated by fellow members, but simply because of how I feel about myself. My fears make not acting like an outcast difficult, my inadequacy possibly self-imposed. So what about me and people like me? Where do we fit in in a Church that is known for its friendliness, cheerfulness, spiritual intelligence? "If you could see into our hearts, you would probably find that you fit in better than you suppose. You might be surprised to find that we have yearnings and struggles and hopes similar to yours. Your background or upbringing might seem different from what you perceive in many Latter-day Saints, but that could be a blessing. Brothers and sisters, dear friends, we need your unique talents and perspectives. The diversity of persons and peoples all around the globe is a strength of this Church . . .
"If these are your desires, then regardless of your circumstances, your personal history, or the strength of your testimony, there is room for you in this Church. Come, join with us! . . .
"If you are tempted to give up: Stay yet a little longer. There is room for you here." So while I might feel like an outcast, I'm probably not alone in feeling inadequate. "God can show Himself as He really is only to real men. And that means not simply to men who are individually good, but to men who are united together in a body, loving one another, helping one another, showing Him to one another. For that is what God meant humanity to be like; like players in one band, or organs in one body." 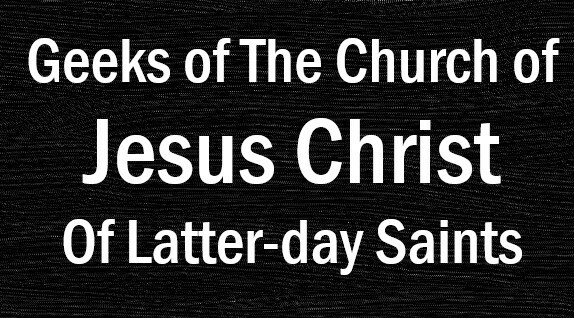 I imagine the Church would falter if its members lacked uniqueness. While the Church "body" surely needs those really important, front-and-center organs—the empathic "heart" members or the scriptorian "mind" members—I think it needs every organ for its purposes, even a strange, shy spleen like me. Okay, the metaphor is getting out of hand, so let me shift to another. You see, the Church is like the X-Men. Mormons are mutants. 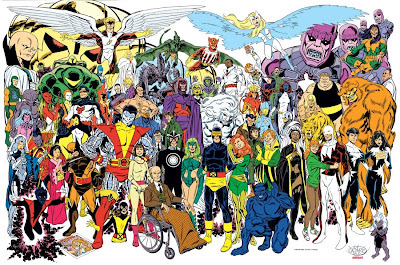 The power of the X-Men as a narrative is that mutants can be symbolic of any minority group, any outcast. Don't get me wrong, I'm not comparing any persecution Mormons have faced to any other group. I don't have the aptitude or education to make such a comparison and/or contrast. But, as I said, the beauty of the mutants is their ability to stand in for anyone, even Mormons. Mutants are misfits, outcasts, strangers as compared to the world. Mormons and mutants are both in the world but separate. 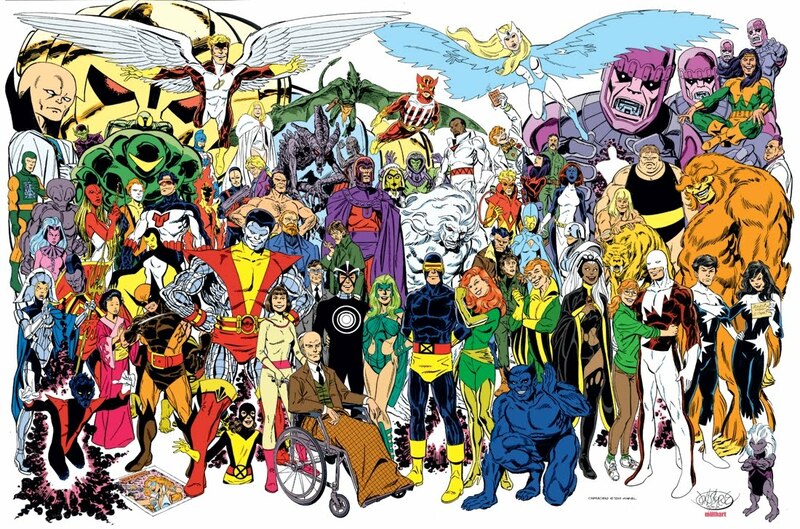 The power of the X-Men as a team lies in the uniqueness of its individuals. The mere fact that each mutant member has a different power from his brother or sister is what makes the team so effective, so prepared for any dangerous situation. A team of only Wolverines might seem fierce on paper, but the team would quickly devolve into a grumpy, rebellious, incorrigible joint personality. And what good would a world of Rogues do, stealing each other's ability to steal abilities? I think we all wonder at one time or another why God made us the way he did, why he gave us our own personal "mutation." Why do I have to be introverted and shy, afraid to talk? Why is it so much easier to shrink, to hide in the corner, to go through the spiritual motions? I expect the answer rests in positivity (not something that comes naturally to me). Why focus on my limitations when I have other talents to share? God doesn't care that my strengths are different than someone else's, or even if I only have one talent to share, as opposed to five. Because his plan for me is unique to me. And it's important. X-Men plays with this dichotomy between strengths and weaknesses often. Some mutants see their mutation as a weakness, others as a strength. It all depends on how they use it, for good or evil. It all depends on perspective. "You, my friend, are a mutant—and I have a need of mutants—desperate need!" 1. Unless it's a geeky topic. I can talk to anyone about that. What could be geekier than a bunch of golems?